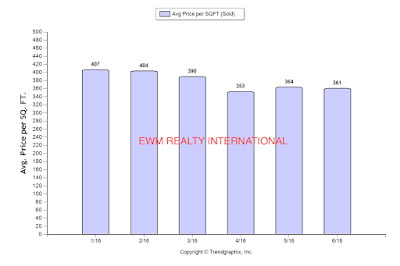 The above chart shows average home price per square foot sold in Coral Gables, FL 33146 for properties over $500,000 in 2016. 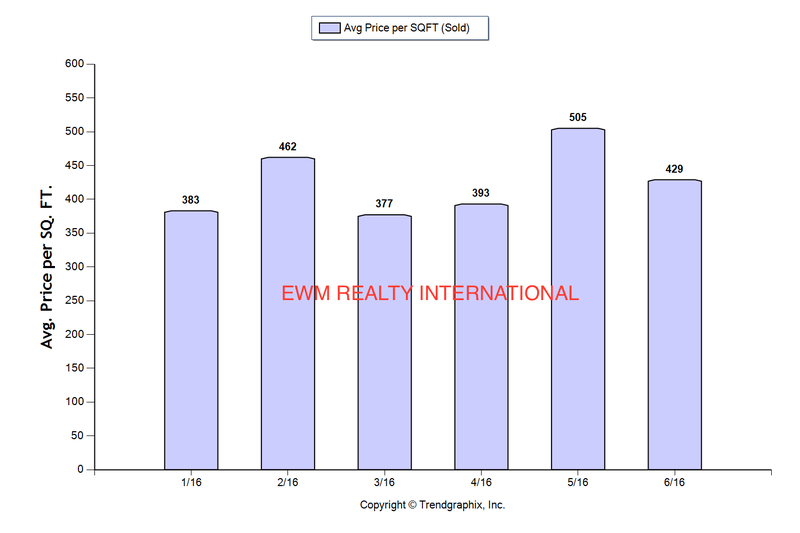 Please feel free to contact me at 305-951-2978 or pardal.e@ewm.com if you are interested in selling or buying a particular property and need help. This data should be used simply as a guide to estimate approximate value. Determining the value of a home in Coral Gables can be very difficult and should be done by a professional such as myself, every factor matters. For example, oak tree-line may be more valuable than a coconut palm tree-line on certain streets. The number of bridges to bay for waterfront properties can also play a role on a properties value. Visit my website at luxurypropertiescoralables.com for more information. 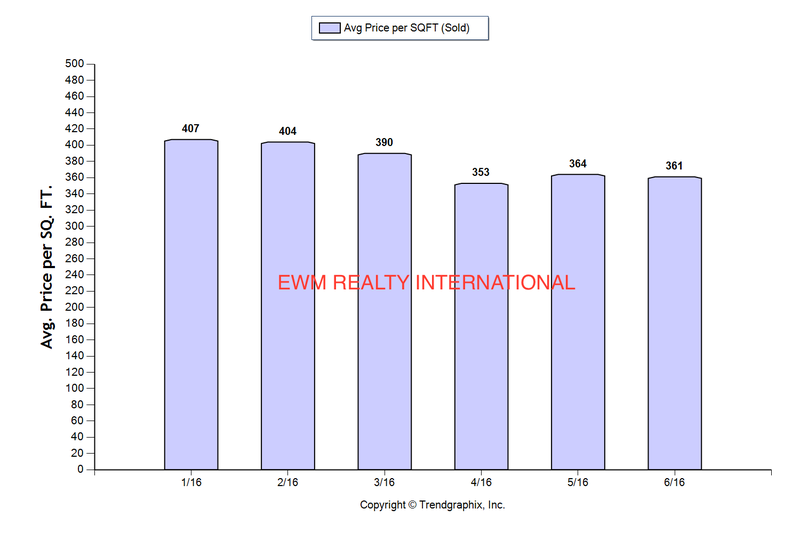 The above chart shows average home price per square foot sold in Coral Gables, FL 33134 for properties over $500,000 in 2016. Please feel free to contact me at 305-951-2978 or pardal.e@ewm.com if you are interested in selling or buying a particular property and need help. This data should be used simply as a guide to estimate approximate value. Determining the value of a home in Coral Gables can be very difficult and should be done by a professional such as myself, every factor matters. For example, oak tree-line may be more valuable than a coconut palm tree-line on certain streets. The number of bridges to bay for waterfront properties can also play a role on a properties value. Visit my website at luxurypropertiescoralables.com for more information. A meeting was held this past Tuesday at the Youth Center regarding the purchase of the empty lot on the NE corner of Sarto Ave and Salzedo St. The majority of the neighbors voted “Yes!”. The idea has now become official and will be taken onto the next step. The purchase will be presented to the City Commission for purchase approval by the end of this month. Purchase price is said to be about $400,000-$450,000 for the lot. I’m pleased by the result considering it’s directly across/parallel from our house and will bring valuable green space to our neighborhood. The funds for this project have been allocated by NRP (Neighborhood Renaissance Program). The main purpose of this fund is to better improve our community. 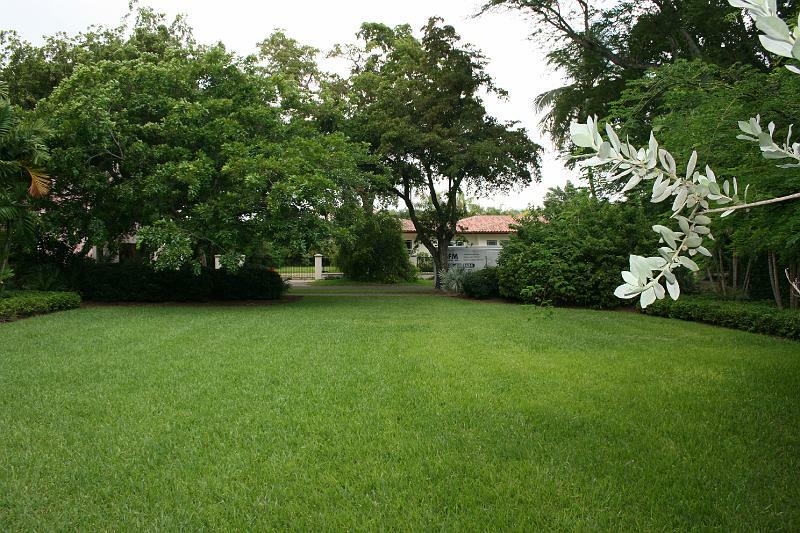 Another one of it's goals is to add accessible green space/parks within a 5 minute walk to all Coral Gables residents. I know some neighbors were concerned about the idea of The City converting this lot into a"Park". Please don't be alarmed, presently there are many similar converted lots, one perfect example can be found on the 100 block of San Sebastian Ave.
pleasant. The neighbors in the area choose to keep it simple. Once The City closes on the property and make the purchase official we will have another meeting where we may vote for design of the park. Ultimately we decide what we want as a community. If you have any questions or concerns please feel free to call me. I'll be more then happy to share more information with you all.